This doesn’t get the list or the abbreviated run down, because this is not a Jackie Chan film. Not like any I’ve seen anyway. Jackie has another crack at a Chinese historical film, this time he eschews the crap that he forced into The Myth. This is a straight up film with real characters, that thankfully stays in one era and sticks there. 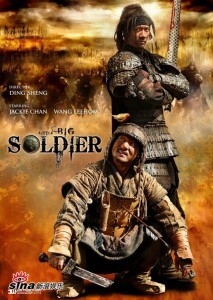 Jackie is the lone survivor in a particularly bloody battle that sees many of his fellow soldiers from Liang dead. Once he realizes that there is another survivor, and that he is an enemy General he concocts a plan. Captured Generals are very sought after by Liang soldiers, in fact by providing a live one JC expects to be showered with rewards, namely his own farm and land and exemption from military service. The problem becomes getting the General to safety where he might collect his prize, as the General is very resourceful and dogged in his efforts to escape. This is only exacerbated when JC uses his abilities to heal the General’s wounds, meaning he is even better equipped to provide resistance. Furthermore the General is simultaneously being tracked by his own men who would free him, and bandits who would just as soon kill him, so JC has set himself lofty goals. This is a real change of pace for Jackie, aside from the dubious facial hair his character seems more adept at fleeing than fighting, his best defense is deemed to run, (he’s a good shot with a rock though). As the duo move towards the conclusion they bond together and find some common ground even though they are from different worlds and have entirely different ambitions, the General escapes more than once and both are captured at times, but circumstances have a way so that they find each other once more. 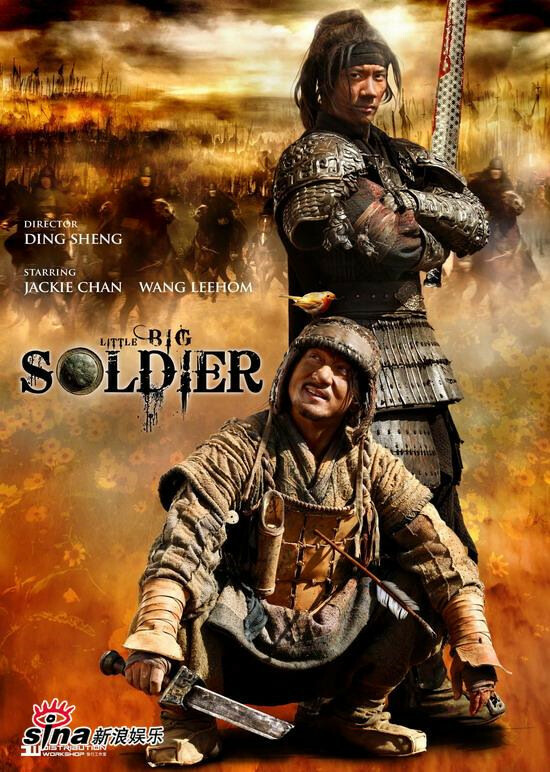 97% of Little Big Soldier is quite light and breezy, the battles aren’t too vicious and the dialogue quite refreshing and reasonable entertaining, the other 3% you’ll have to see for yourself. This is not a Jackie Chan flick though, the martial arts action is kept to a minimum and usually Jackie isn’t part of it anyway, and the stunts and narrow escapes aren’t the normal Jackie Chan stunts and escapes. This is simply a well made movie that tells a good story, and the ending packs more of a punch than the first 80 minutes suggest. Final Rating – 7.5 / 10. Not a Big Jackie Chan actioner filled with chop-socky and stunts, but also not a Little movie either. Jackie’s best film since Shanghai Knights / Rush Hour 2, and his best drama since Crime Story. This entry was posted in Film, Jackie Chan, Movie Reviews, Superstars, Worthwhile Movies. Bookmark the permalink.